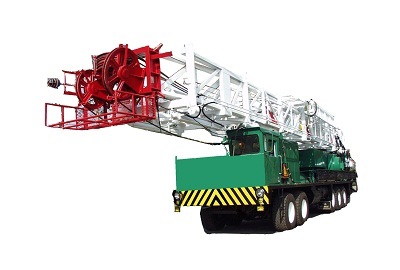 Compared with a normal work over rig, the free-standing workover rig is much more stable as its mast structure center coincides with the loading point in the same direction. It is easy to install the mast without needing to adjust the mast tilting angle or to fix the guylines after rigging up. With a much bigger operation space than the normal workover rig, it is easy to operate and control.